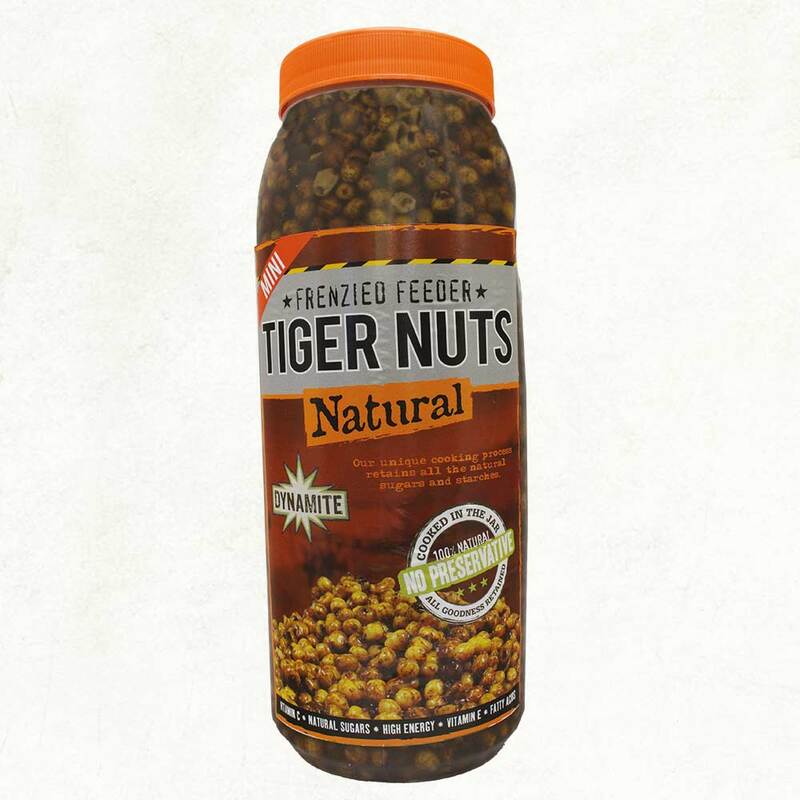 Our quality tiger nuts are ready to use straight from the jar or tin and require no preparation at all. Our mini tigers are ideal to use as a bed of feed in conjunction with a whole tiger or a Monster Tiger Nut boilie on the hair. All our Tigers are cooked in the jar or tin with no added preservatives, so all the natural sugars and attractants are retained during the cooking process.